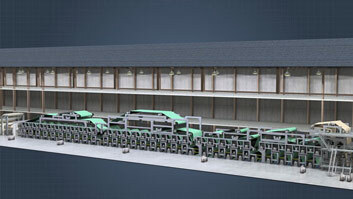 On a paper or board machine, steam is piped to the inside of each dryer can, where it transfers its heat to the inside surfaces as it condenses into water. 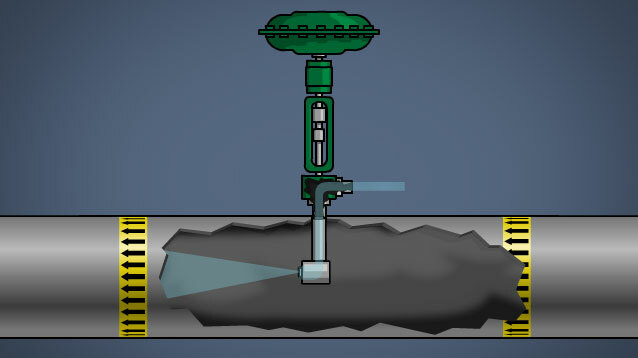 When hot condensate is dumped into a receiver at a lower pressure, some of the condensate will "flash" and produce steam. 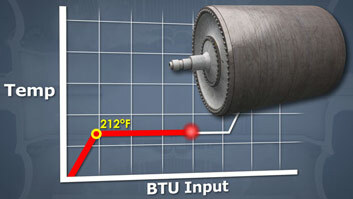 A desuperheater injects hot water into steam to lower it to its saturation temperature and remove superheat. Steam is commonly used in industrial environments for power generation and in heating and drying applications. 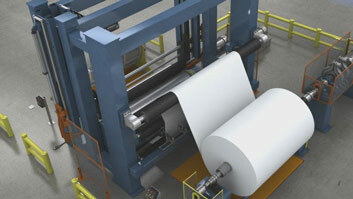 On a paper or board machine, steam is used to dry the sheet of paper or board to a target moisture content before it is wound up on large rolls that can be transported, stored, or shipped. 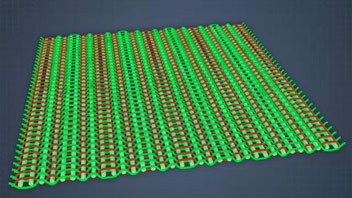 Before one can understand how steam is used in heating and drying applications, like paper machine drying systems, it is important to understand how steam is created, how heat energy is transferred from the steam to the sheet, and the relationship between steam pressure and steam temperature. Why does water boil at lower temperatures at higher elevations? The phase of water (solid, liquid, or gas) is determined by its temperature and pressure. Atmospheric pressures are lower at higher elevations, and liquid water boils at lower temperatures at lower pressures. When water molecules in steam contact a cool surface, they lose energy to that surface and change into a liquid. The resulting liquid water is called "condensate." How can superheated steam cause problems with the rotary joints on dryer cans? The moisture in saturated steam lubricates the carbon rings in the rotary joints. Without this lubrication, the rings will wear more rapidly and could even crack if they get too hot. 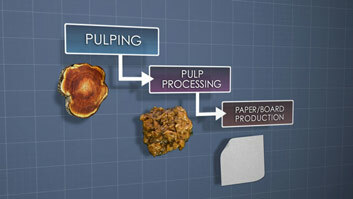 Why is it important to collect and reuse the condensate from a paper or board machine? 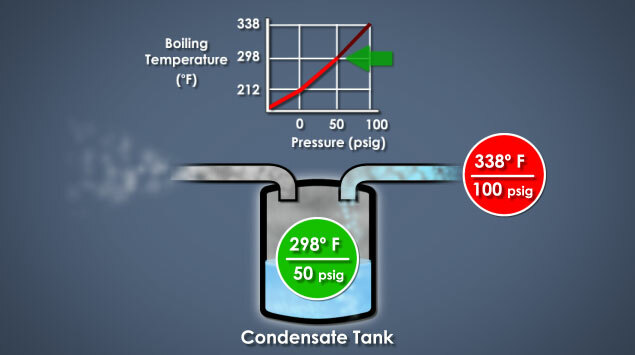 The condensate still contains heat, which is valuable because it lowers the amount of heat needed to produce additional steam. Water or H2O, exists in three phases: solid, liquid, or gas. The phase that water takes is determined by its temperature and pressure. There are some significant changes that occur as water goes from the liquid to gaseous phase. This transition is referred to as boiling, and it occurs at 212 degrees Fahrenheit at normal atmospheric pressure, zero PSI gauge pressure. As heat is added to liquid water, it increases in temperature. 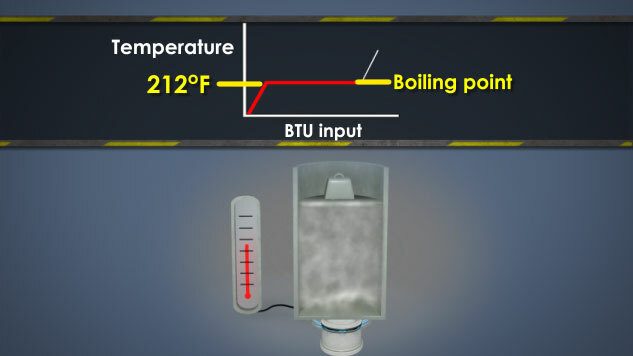 Each BTU, a unit of energy that is added, increases the temperature of one pound of liquid water by one degree Fahrenheit. 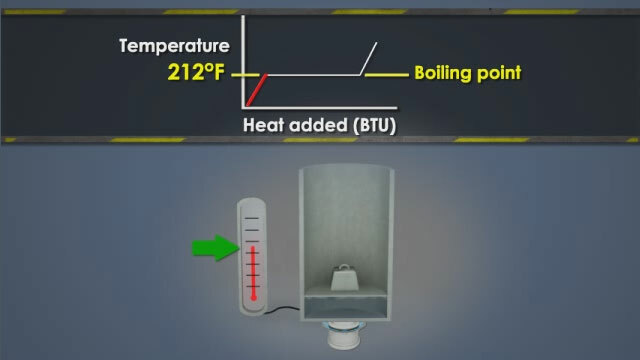 Once the water reaches the boiling point, the temperature stops increasing. As even more heat is added, this energy goes toward creating vapor rather than increasing temperature. Once all of the liquid water in a system has turned to vapor or evaporated, the temperature will resume its increase as more heat is added. Steam at a temperature above its boiling point is called super-heated steam.